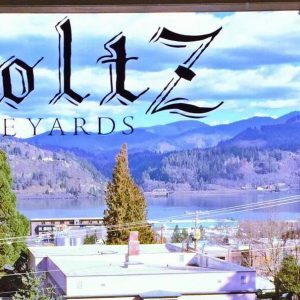 stoltz winery in downtown hood river produces single barrel lots of pinot noir and chardonnay as well as exclusive blends and unique varietal wines such as fernão pires, zweigelt, sagrantino and others. every bottle of our limited production wine is handcrafted and has a story to tell. the winery and tasting room offer amazing panoramic views of the columbia gorge from the town’s oldest house still standing, called the ‘mansion on the hill’ (1886). before conversion into our winery, the building was a mortuary for 45 years. this historic place is a grand stage for the production and presentation of our wines. the building was subsequently acquired by cc anderson in 1922. anderson funeral home installed a steam powered body lift, cadaver laboratory, and other parts for their operations. the large basement and natural low temperature served well in hosting hood river’s deceased. this provides a cool dark environment for the making of stoltz wine. They feature a variety of white blends, pinots, red blends, petite sirah, and Zin!